Now more than ever, HIV charities need your support. 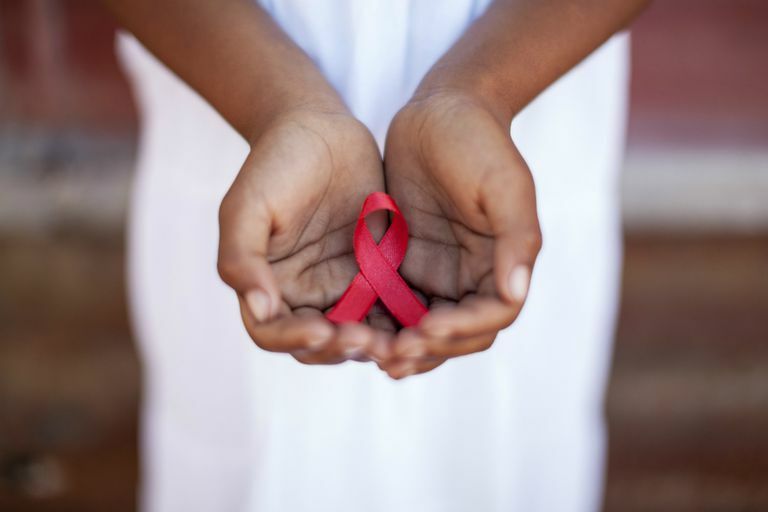 These are the vital non-profit organizations that work tirelessly to advance HIV research, provide care and housing to those in need, and offer outreach and education to prevent the further spread of infection. This is no small feat given the scale of the epidemic, which claims more than a million lives and accounts for more than 50,000 new infections in the United States each year. Despite efforts to turn back the tide of infections, we are nowhere near making the inroads needed to end the epidemic as we know it. With stagnating investment from donor nations and proposed cuts to PEPFAR (the U.S. President’s Emergency Plan for AIDS Relief), we stand the very real possibility of losing many of the gains made in the past 15 years. Even on the domestic front, we are faced with ever-increasing numbers of new infections in the South, dismal rates of viral suppression among those living with the disease, and the highest incidence of HIV of any country in the developed world. While foundations, corporations, non-government organizations, and private donors have tried to fill the gap, even those donations have tapered off since the high of 2008 when $674 million was channeled into domestic and international HIV programs. Choosing the right charity can be a very subjective thing. For some donors, it makes perfect sense to support a local charity whose sole purpose it is to serve the community. Others may have a personal passion that drives their decision—whether it be to foster research, end the stigmatization of HIV, or uplift disadvantaged communities abroad. Wherever your instincts take you, it is important to not only understand the charity's mission but to also determine how effective it has been in delivering on that very mission. Surprisingly, only a handful of charities meet this standard. Falling short, however, doesn’t mean that the charity is unworthy (community-based organizations tend to have higher operating costs than national ones); it simply suggests you take a closer look. If, for example, a registered 501(c)(3) charity doesn’t post its tax returns on its website, you need to ask why, if only to help that organization become more transparent or exert better control over its budget. AIDS United was created in a merger between the Washington, D.C.-based National AIDS Fund and the AIDS Action advocacy group. The two founding charities were each established in the 1980s in response to the government’s on-going inaction to the AIDS crisis. Today, the conjoined agency supports over 300 organizations with direct and indirect grants and advocates on behalf of people living with HIV on a local, state, and national level. amfAR remains one of the world’s most important funders of HIV research. In 2015, amfAR launched the amfAR Institute of HIV Cure Research in collaboration with the University of California, San Francisco. As the cornerstone of amfAR's $100 million investment in cure research, the Institute aims to bring together leading research teams to collaborate across institutions and disciplines, making it one of the most ambitious initiatives in amfAR's history. Based: New York City and Washington, D.C. The Black AIDS Institute has long been committed to addressing the challenges facing African American communities where the risk of HIV infection and stigmatization run high. Their programs include those targeted to black gay and bisexual men who today have a 50 percent risk of getting HIV. The institute is supported by the likes of the Magic Johnson Foundation, the M.A.C. AIDS Fund, and the U.S. Centers for Disease Control and Prevention, among others. Today, Broadway Cares/Equity Fights AIDS serves as the template by which other industries have established their charity models (among them Jewelers for Children and the Design Industries Foundation Fighting AIDS). But, after nearly 30 years, no one does it with as much success or pizzazz as this New York-based charitable institution. Elizabeth Glaser Pediatric AIDS Foundation (EGPAF) has gained global renown and for good reason: no other HIV charity has made a greater impact in the prevention, treatment, and care of at-risk women and their children in the developed world. In recent years, EGPAF has expanded its outreach to deliver prevention to at-risk youth as well as scaling up efforts to diagnose infants born in nine African nations. Elton John AIDS Foundation (EJAF) is as bold as a charitable organization as it is vital. While its support of community-based HIV organizations is well known, EJAF distinguishes itself by funding programs that others won't, from legal groups fighting to overturn HIV criminal laws to activists demanding needle exchange programs in states that ban them. Housing Works understands that poverty and infection go hand-in-hand and has decided to take on the twin epidemic of homelessness and HIV. No organization has made greater advances into alleviating these vulnerabilities than this long-standing, New York-based charity. In addition to providing supportive residences, legal aid, and comprehensive medical/dental care, Housing Work’s HIV adherence program has helped 70 percent of its clients maintain undetectable viral loads, more than twice the national average. Keep a Child Alive (formerly Children Affected by AIDS Foundation) has expanded its mission to support innovative, community-led programs which ensure consistent delivery of HIV care and treatment to children and their families living with HIV in Kenya, Rwanda, South Africa, Uganda, and India. Chief among its aims is the diagnosis and care of HIV-infected children, 50 percent of whom are still not being treated. mothers2mothers may not have the name recognition of amfAR or the Elton John AIDS Foundation, but its achievements have been no less remarkable. For more than 16 years, mothers2mothers has led the fight in preventing mother-to-child transmission of HIV in developing countries and has, to date, reached over 1.5 million women with HIV in six African nations. Pangaea Global AIDS Foundation is an Oakland-based charity which took the extraordinary step of focusing its efforts on Zimbabwe, a country governed by one of the most oppressive regimes in Africa and where one out of every seven citizens is infected with HIV. Despite these challenges, Pangaea has lived up to its mission by ensuring equitable access to HIV testing, treatment, care, and prevention in hard-hit Zimbabwean communities. The HIV crisis could never have been fought without the extraordinary work of grassroots, community-based organizations (CBOs). Many have been around since the earliest days of the epidemic and continue to channel support, services, and care to those in their community who are most in need. American Institute of Philanthropy. "Our Nation's Veterans Deserve Better from America's Charities." Statement of Daniel Borochoff, President, American Institute of Philanthropy, Chicago, Illinois Testimony before the House Committee on Oversight and Government Reform Hearing on Veterans Charities; Washington, D.C.; December 13, 2007.